Posted on Tuesday, September 23rd, 2014 at 7:52 am. 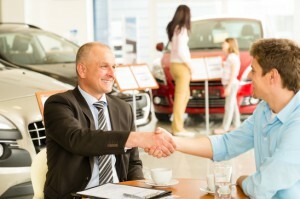 Selling requires not only fulfilling but exceeding customer expectations. For gaining skills in selling, consider the Sales Training Course offered by pdtraining in Boston and other cities in the U.S. The goal of selling needs to be to improve customer satisfaction, increase demand by creating returning customers, and, of course, to make a profit. During selling, the customer and the company come into close interaction. Otherwise, customers know a company through its advertisements, from other people, or through articles and news. During a purchase, customers see how the salespeople of the company treat them, the cost of the company’s products and services, and the value they can expect to receive. During this interaction, it is vital that the company representatives ensure that the customer gets more than they expected to, not only in terms of the quality of the product/service, but also the entire experience while purchasing. Even before a customer enters a store for buying, he/she is looking for the deal in which they get what they want in quality, price and other specifications (shape, size, color, style, features). A salesperson must identify the customer’s expectations and try to fulfill them to the best capacity. When selling, thinking about what the customer is getting without compromising on the important goal of the company (such as giving discounts, freebies, etc.) is instrumental in giving customer the best service. Every customer is different. Some are easily pleased and some not. Some are choosy while some are bulk buyers. To adjust to the different personality and needs of a customer is a challenge. A customer likes it when a salesperson can save them time and effort by leading them to the products or the services that they are looking for. Along with that, a customer appreciates if the salesperson is making an effort to meet their every need, including those that are not directly linked to the sales. To achieve that, a salesperson must quickly judge the expectations of a customer and act accordingly. A professional sales executive performs his/her duties with the goal to serve to the best of his/her capabilities. When serving customers, it is important to be eager to serve and not to treat a customer like just another one. Your enthusiasm in serving will be visible to the customer. If you sell with pleasure, fulfilling the demands of the customers to the best of your abilities, customers will be more likely to remember you and visit again. Likability is yet another factor that attracts customers to do business with a company again. Pdtraining delivers 1000’s of professional development courses each year in Atlanta, Baltimore, Boston, Charlotte, Chicago, Dallas, Los Angeles, Manhattan, Miami, Orlando, Philadelphia, and Seattle, so you can be assured your training will be delivered by a qualified and experienced trainer. All public Sales Training courses include am/pm tea, lunch, printed courseware and a certificate of completion. Customized courses are available upon request, so please contact pdtraining on 855 334 6700 to learn more. What is the Productive People Advantage?